In this riot of frantic disguises and mistaken identities, Victor Pivert, a blustering, bigoted French factory owner, finds himself taken hostage by Slimane, an Arab rebel leader. The two dress up as rabbis as they try to elude not only assassins from Slimane's country, but also the police, who think Pivert is a murderer. 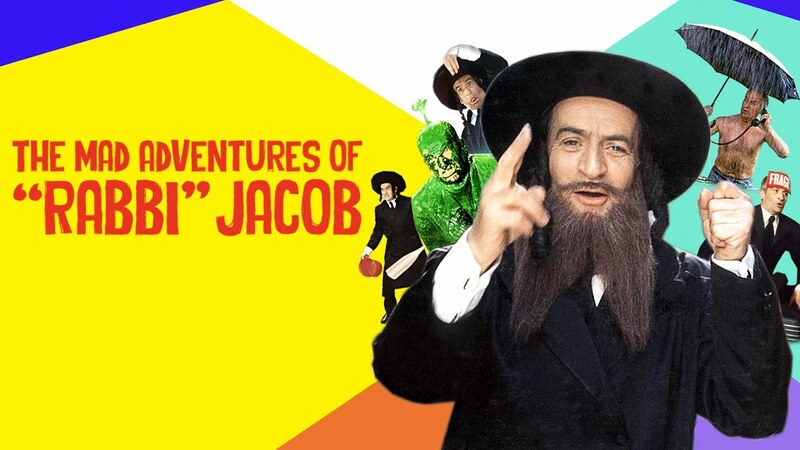 Pivert ends up posing as Rabbi Jacob, a beloved figure who's returned to France for his first visit after 30 years in the United States. Adding to the confusion are Pivert's dentist-wife, who thinks her husband is leaving her for another woman, their daughter, who's about to get married, and a Parisian neighborhood filled with people eager to celebrate the return of Rabbi Jacob. "A slapstick masterpiece. One of the all-time funniest flicks." "A slapstick farce co-written by Oury's daughter Danièle Thompson, it manages to quite literally candy-coat its bigoted hero, in one of the funniest scenes in one of the funniest movies to turn up this year." "Supporting the star who works tirelessly — and mostly with success — for laughs, are a number of fine sight gags and some very good supporting actors, including Suzy Delair, who plays Mr. De Funes's wife, a bossy woman with a passion for dentistry."